What are your options for car insurance with poor credit? 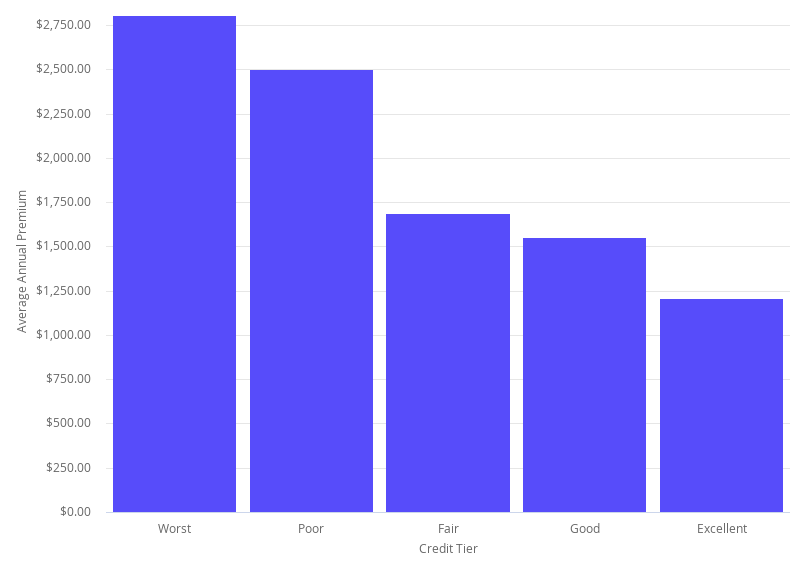 Which insurance companies don't use credit scores? The long and short of it: not many. Car insurance companies view your credit score as a very informative rating factor. Historical data from the Federal Trade Commission shows drivers with poor credit file more claims than do drivers with excellent credit, and their claims are more costly to an insurer. The difference between the lowest level of credit and the highest is more than $1,500 in annual premium payments. Here are some alternatives worth considering if you're trying to find car insurance with poor credit. What are your options for no credit check car insurance? In some cases, your credit won't be used to determine your insurance premium. If you live in California, Hawaii, or Massachusetts, your credit score isn't a rating factor. This is because these state's legislation feels credit score evaluation disadvantages low-income drivers. If you live in one of these states, you're in the clear. In theory, usage-based insurance is great for safe drivers who might be paying more for car insurance because of non-driving-related factors — for instance, poor or low credit. While telematics is relatively new in the insurance industry, most popular companies have their own programs in addition to their standard pricing model. The only true telematics-only car insurance company is Root. Snapshot versus Root: Which is better for you? Snapshot versus Drivewise: Which one is best for you?